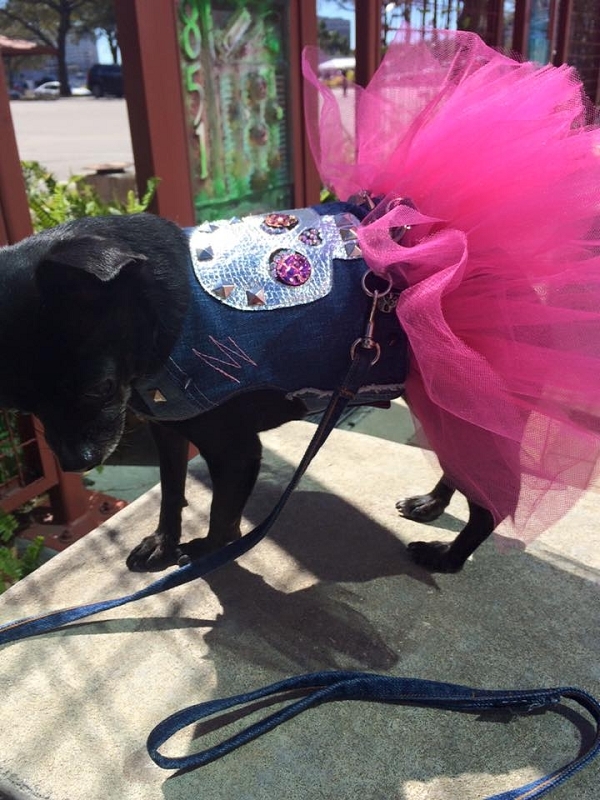 Dress your pampered pooch to the nines with this upcycled denim dog tutu. 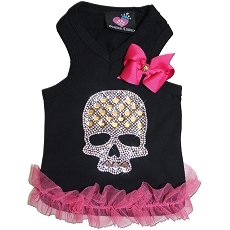 Designer doggy couture is one of the hottest trends touted by celebrities and the Hollywood glitterati. 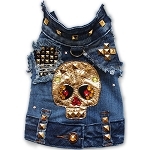 This enchanting stonewashed denim features an elaborately designed studded silver skull appliqué. 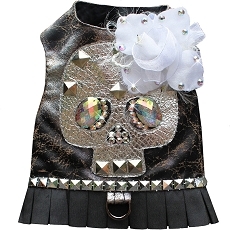 It is adorned with silver pyramid square rivet studs throughout. The effect is a marriage between haute couture glamour and rock n roll. 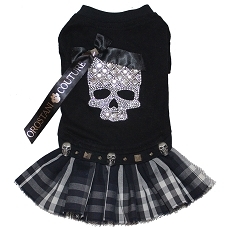 Express your love for your pet and take pride in their appearance with this original Orostani Couture design. 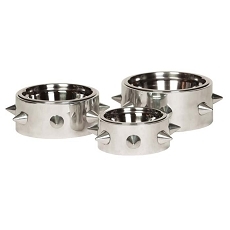 This also makes a thoughtful gift for the pet owner in your life. 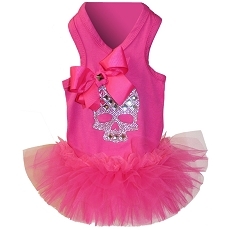 This design is made to order and will fit your dog comfortably. 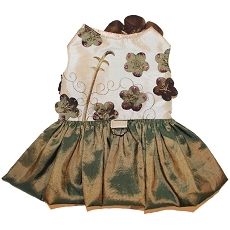 Details - It is a harness style vest, fully lined. 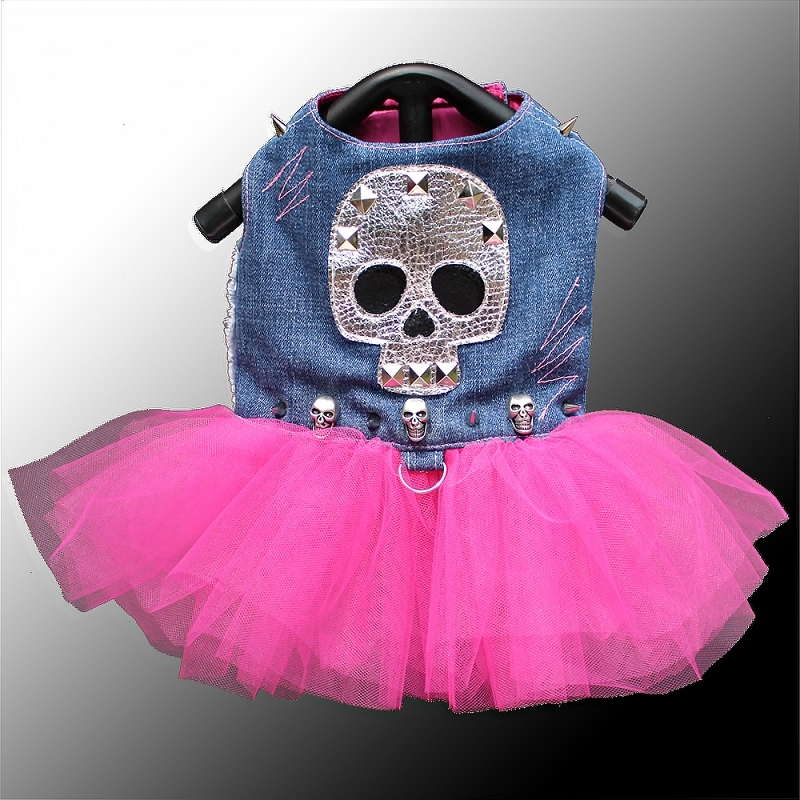 Made of recycled denim with frayed edge detailing to give it a modern and urban distressed feel. 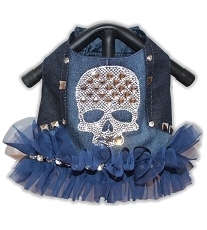 Each piece will vary due to the nature of the denim making every design a one-of-a-kind handmade design. 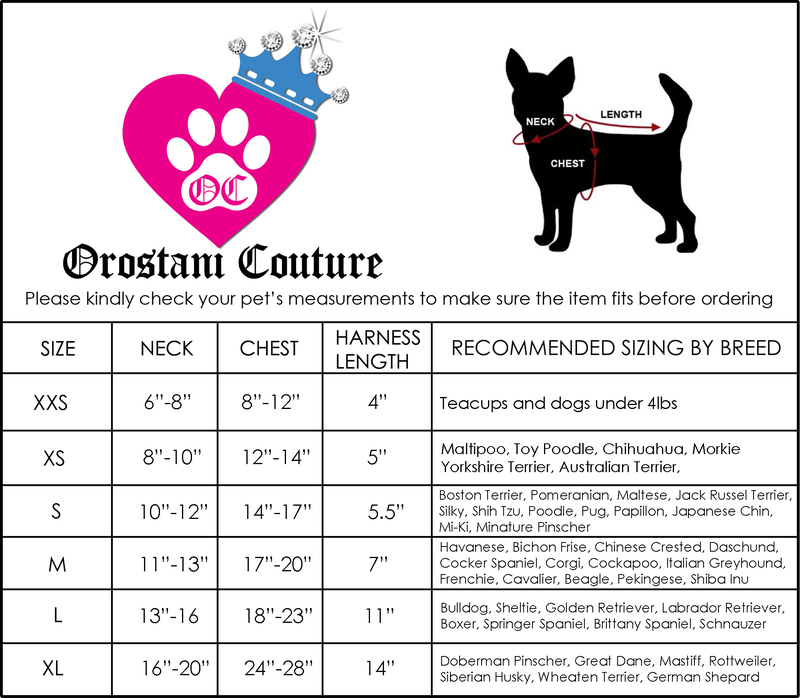 I had my first outfit Designed for Juicy by Orostani Couture and I was blown away! 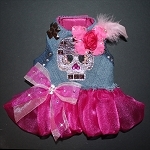 Olga did a Fabulous job on her little outfit! 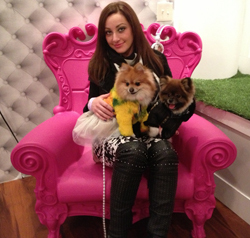 I absolutely love it...Juicy was the Belle of the Ball at the party she wore it too! So creative and well made. Such a pleasure to work with Olga..definitely will order more and recommend to friends!